Hello all!!! I hope everyone is having a wonderful October. I just love the fall and all the changing of the colors. I love this weeks case study! The card is beautiful and was so inspiring to me. 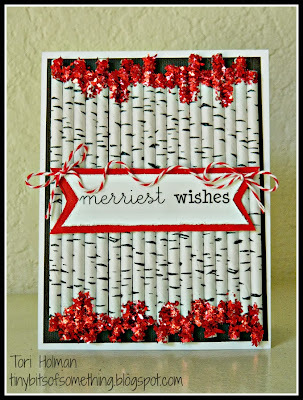 I was at the store and saw these birch tree straws and new they would be perfect for this challenge. What can I say they wanted me to buy them. 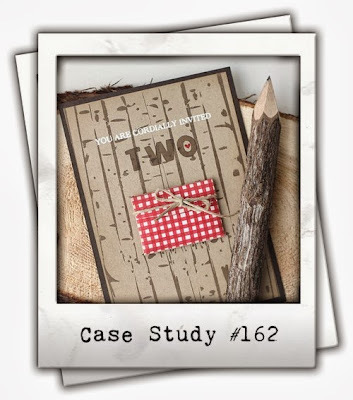 This challenge is Case Study and was lots of fun so you should check it out! Here is the card for this week. I love love love the way this card turned out. What about those straws??? AWESOME! I used Martha Stewart glitter on the edges. The sentiment and twine are SRM and they look perfect on the card. I hope you enjoyed. I think it is amazing! So dimensional!